by Kunz, Harry [Autor] | Steensen, Thomas [Autor] | Pingel, Fiete [Autor]. 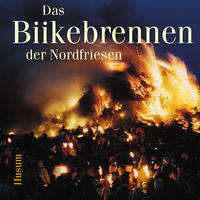 Book |  | Wörterbuch | Nordfriesland | More titles to the topic Series: Nordfriisk Instituut Nr. 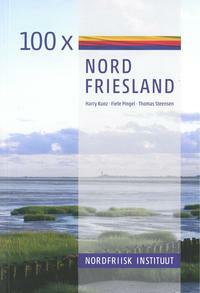 235.Kleines Nachschlagewerk mit 100 Artikeln über Geografie, Natur, Kultur, Geschichte und herausragende Persönlichkeiten Nordfrieslands.Availability: Items available for loan: [Call number: SH 318 K] (1). by Schulte am Hülse, Kurt [Autor]. Book | 1948 | More titles to the topic Availability: Items available for loan: [Call number: SH 318 S] (1). Book | 1989 | More titles to the topic Series: Schriften des Kreisarchivs Nordfriesland Schloß vor Husum 12.Availability: Items available for loan: [Call number: SH 118 D] (1). Book | 1989 | More titles to the topic Availability: Items available for loan: [Call number: SH 118 F] (1). by Heitmann, Claus [Redakteur] | Green, Hans. Book | 1995 | More titles to the topic Series: Eiderstedter Hefte 2.Availability: Items available for loan: [Call number: SH 118 F] (1). 700 Jahre Tetenbüller Trockenkoog: Traditionen im Eiderstedter Land / bearb. von Asmus Asmussen Ferdinand Pauls ; Sönnich Volquardsen. Eine Schrift des Festausschusses "700 Jahre Drögekoog"
Book | 1985 | More titles to the topic Availability: Items available for loan: [Call number: SH 118 S] (1). Book | 1996 | More titles to the topic Series: Nordfriisk Instituut 143.Availability: Items available for loan: [Call number: SH 600 A] (1). Book | 1993 | More titles to the topic Availability: Items available for loan: [Call number: ERD 25 P] (1). Book | 1995 | More titles to the topic Series: Nordfriisk Instituut 131.Availability: Items available for loan: [Call number: SH 600 P] (1). Book | [s.a.] | More titles to the topic Availability: Items available for loan: [Call number: SH 118 J] (1). 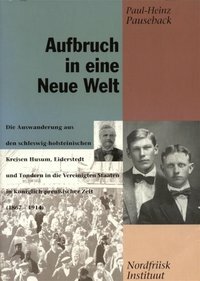 by Paulsen, Friedrich [Autor] | Lohmeier, Dieter [Herausgeber]. Book |  | Autobiographie | Paulsen, Friedrich | More titles to the topic Series: Nordfriisk Instituut 200.Availability: Items available for loan: [Call number: SH 551 PAU] (1). by Jessen, Hans J [Autor]. Book | 1993 | More titles to the topic Availability: Items available for loan: [Call number: SH 118 J] (1). by Hansen, Christian Peter [Autor]. Book | 1880 | More titles to the topic Availability: Items available for loan: [Call number: SH 118 H] (1). Book | 1996 | More titles to the topic Availability: Items available for loan: [Call number: SH 166 B] (1). Book | 92 | More titles to the topic Series: Schleswig-Holsteinischer Landtag, 12. Wahlperiode Drucksache 12/1785.Availability: Items available for loan: [Call number: SH 166 B] (1). by Schleswig-Holstein / Präsidentin des Landtages. Book | 1991 | More titles to the topic Series: Der Landtag Schleswig-Holstein.Availability: Items available for loan: [Call number: SH 166 B] (1). Book | 1853 | More titles to the topic Availability: Items available for loan: [Call number: SH 274 F] (1). Book | 1909 | More titles to the topic Availability: Items available for loan: [Call number: SH 118 J] (1). Book | 1982 | Bakenbrennen | Nordfriesische Inseln / Volkskunde, Völkerkunde | More titles to the topic Series: Heimatkundliche Schriften des Nordfriesischen Vereins: H. 4Availability: Items available for loan: [Call number: SH 232 J] (1). by Panten, Albert [Autor] | Jessel, Hubertus [Autor]. Book | 2004 | Bakenbrennen | Nordfriesland | More titles to the topic Series: Heimatkundliche Schriften des Nordfriesischen Vereins 13.Availability: Items available for loan: [Call number: SH 232 P] (1).